Time has, yet again, completely eluded me. We have just finished week 4 of our sixth – our sixth! – semester. It feels like we’ve just started. At least until I look back and focus on some of the things we’ve done and learned. In those moments, I realize how far we’ve come. Third year has been by far the busiest (something that is clearly reflected in my activity on here). I’ve planned my schedule in such a way that there is something I should be doing during almost every hour of the day. The breaks between my classes are sometimes barely enough time to run to the restroom and once I’m done at school I have to get as much studying done as possible. We have very few midterms this semester, so pretty much everything is riding on our levels of self-motivation. Lucky for me, that’s one area where I’m not lacking. Though this self-motivation is chiefly anxiety driven, I’m just happy that I am getting somewhere. – 1 autopsy case: we will be presented with the internal organs of a patient, given time to examine all the pathological changes, and then determine the cause of death (primary disease) and any secondary complications. – 1 case report: we will be asked to discuss one of the autopsy cases we reviewed during the semester (we have a total of 14, of which 10 will need to be remembered for the exam). At the moment, my study technique is to prepare the topics as I would want to present them on my exam. For patho, I’ve switched to taking my notes in a notebook. I’ve found that the freedom of the note-taking app on the iPad is great for some classes, but more “damaging” to others (efficiency and efficacy-wise) . For example, for the pathology topics I did in my iPad, I unconsciously spent way too much time making the perfect layout and having all the points in a perfect order. Now, I read though the book, then through my lecture notes and notes written by a past student. 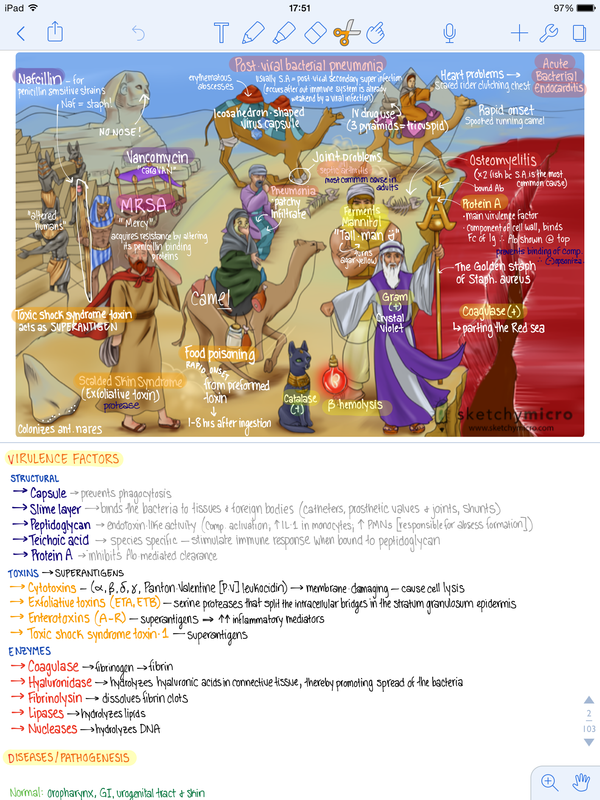 After that, I visualize a sort of “topic- map” for myself and only then do I draw it out into my notebook. When I add in things, it can get a little messy, but I can tell that I am actually learning a lot more than when I took notes in my iPad. 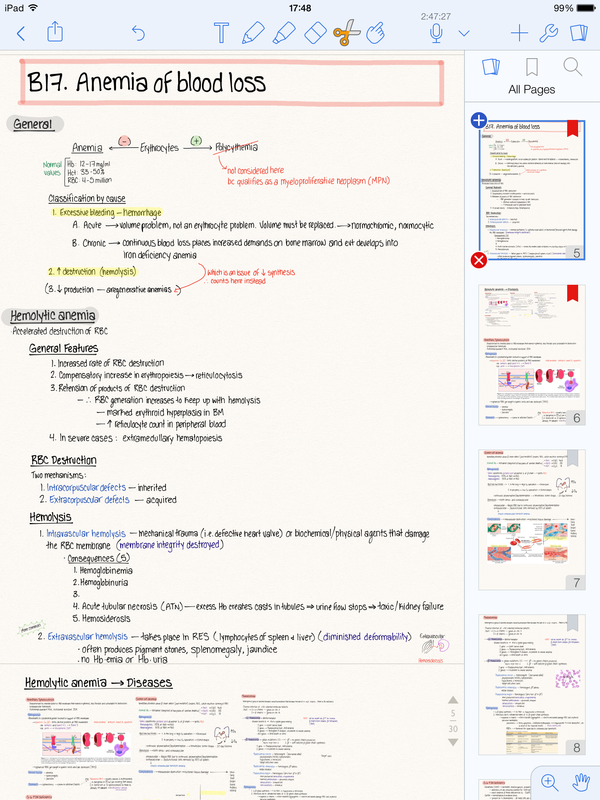 But then for microbiology, it is really great to have the iPad notes. 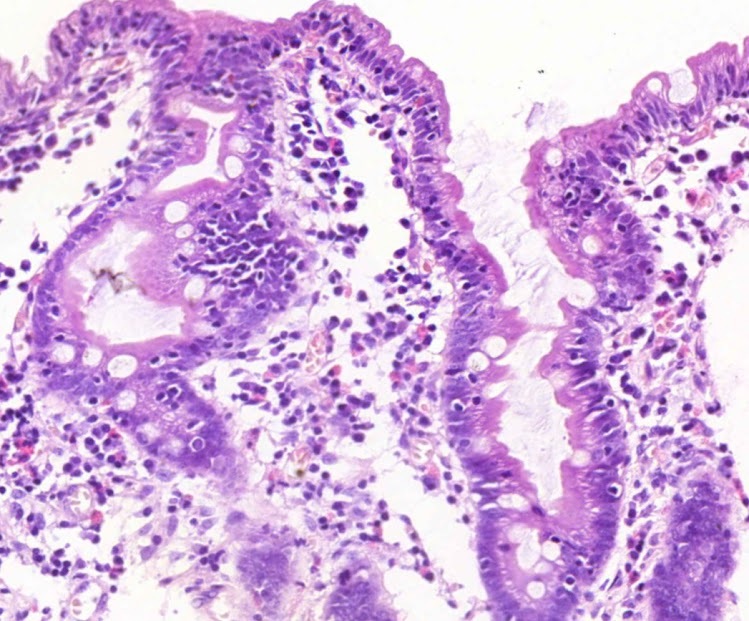 We have to learn so many different organisms and one of the ways to do this is image association. 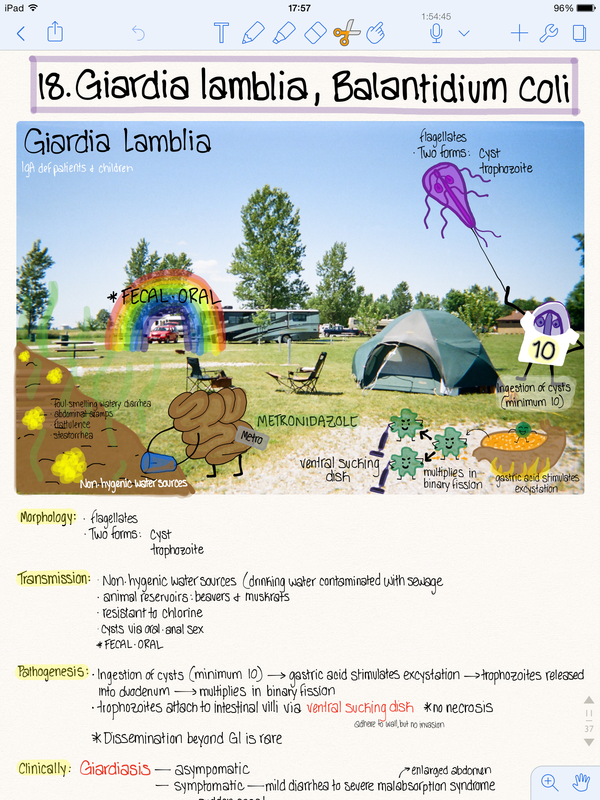 Last semester we covered bacteria and I used SketchyMicro. They just announced that they will be releasing videos for viruses and fungi on March 14th this year and I couldn’t be more excited! Before they announced the release though, I figured I had to take things into my own hands and make my own drawings. 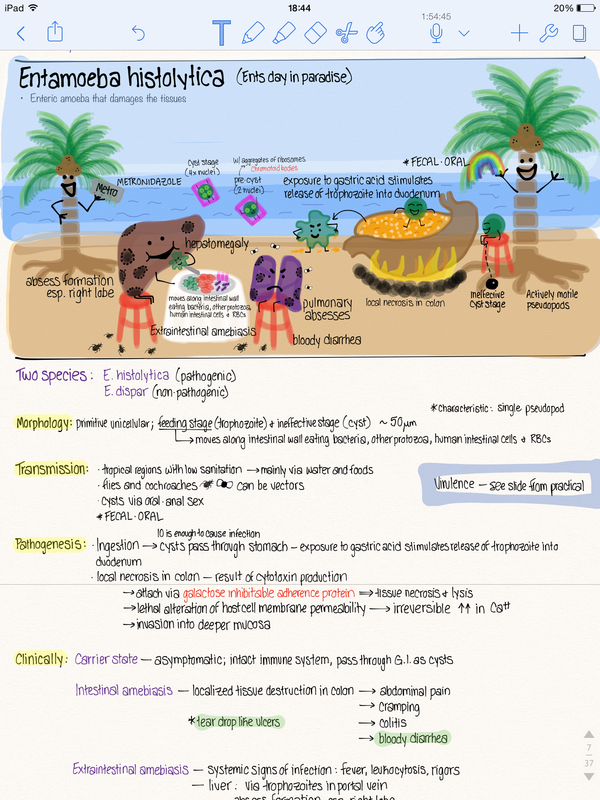 I did several for protozoa and Notability was the perfect tool! Outside of these, we still have pathophysiology, genetics, surgery, internal medicine, medical psychology and…I honestly can’t remember the last one. Oh! Medical imaging. Last week, we were supposed to have our first surgery practice, but we missed it. There was a lot of confusion around it because we were supposed to take it during the second week but there was a conference, so they moved it to the third week. We thought that the retake would be on Thursday, the normal day of our practice, but when we got there we found out that it had actually been the day before! We were both really bummed, so we decided that to make up for it, we would do a “surgery date night” that Friday. Skjalg picked up surgical tools at school and we settled in for the night with some partially peeled oranges. We didn’t have any proper training, but it was still fun to pretend. 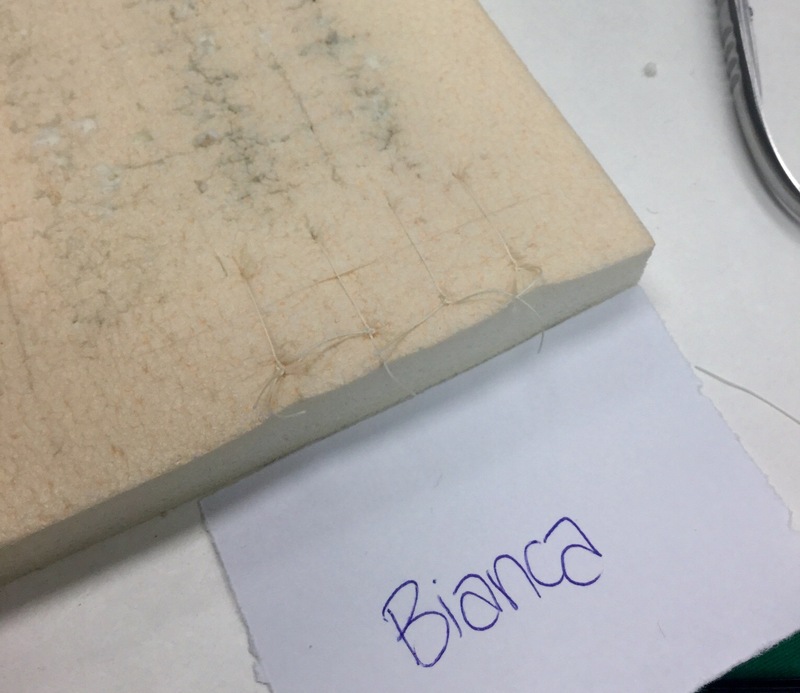 This past Thursday was our “second” surgery practical and was going to be our day of learning sutures! Since Skjalg and I had practiced at home, it wasn’t too foreign. 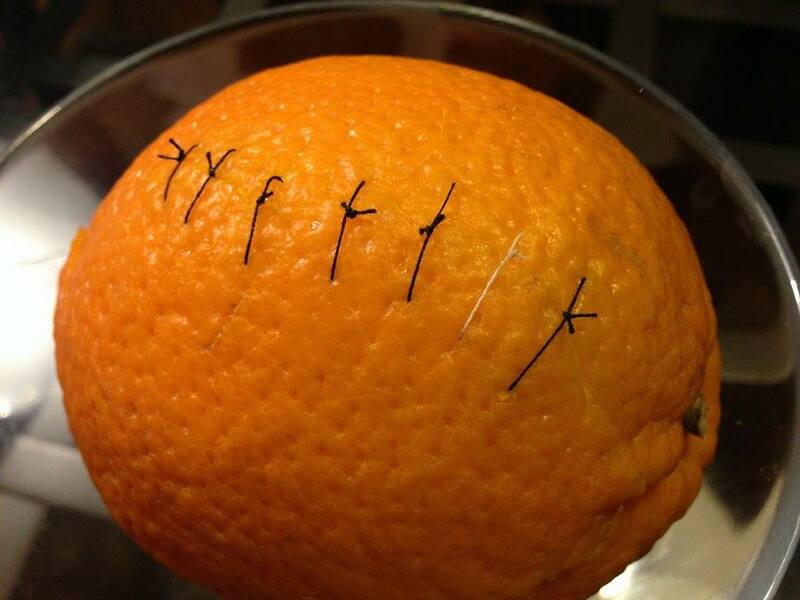 Although, there were a lot of “rules” that we hadn’t followed properly and suturing an orange is a lot different than suturing the weird tissue sponge thing we had in class. We spent the first half of the class learning two knot types: Viennese and surgical. We need to know how to do them with both hands and let’s just say that I was completely unaware of just how lacking my left hand is when it comes to dexterity. Practice, practice, practice! When the 10 minutes were up, she told us to clear our sutures and prepare for the competition: 3 stitches in 10 minutes. Since I want to be a surgeon and this is the closest thing I’ve ever been to that, I was putting a lot more pressure on myself than logically necessary. Still, I managed the three sutures and then did a forth just in case. The sutures have to be 1 cm from the wound edge, 1-1.5 cm apart from each other (and parallel to each other), and the thread should be cut 1 cm from the knot. After 6 years, I’m still in this weird limbo state between inches and cm, so I was a little worried I’d over(or under)estimated. After the time was up, we all got up and walked around to examine each other’s sutures. We each then chose two people to vote for. Once the teacher had tallied the votes and announced the winners, I was shocked to hear my name called for first place. There are two more little class competitions and then the winner gets to go to a competition for the whole year. At this competition there will be one person from each group. The top 3 will get a grade of 5 for the class and the rest will get 4’s – so it is a pretty good deal! Ok, back to patho for me! Hey B! 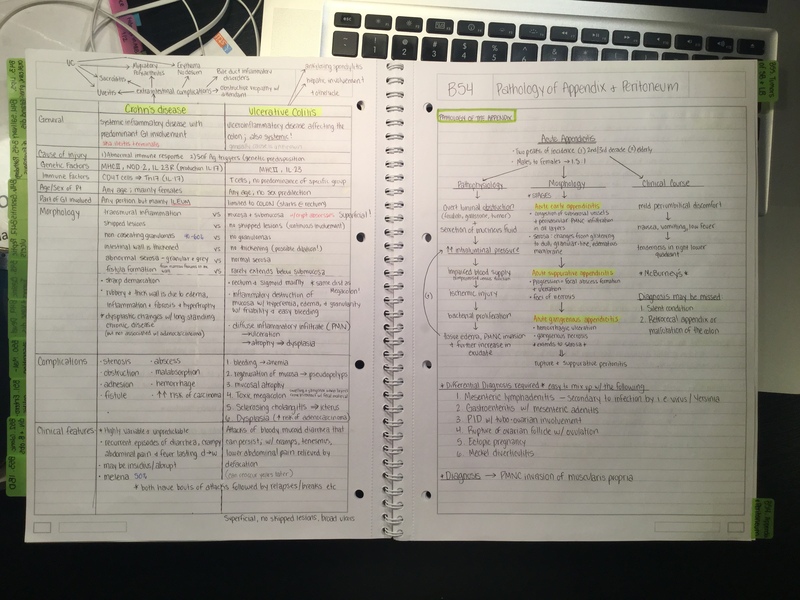 I love your notes!!! Keep hanging in there. I love your self-motivation. Inspiring! Congrats on first place suturing! Love your sketches. Knowing how we are intrically bound to the microbiology of this planet how can we even think of living for long anywhere else? Thank you, Grandpa! It really is quite the relationship, one I never fully appreciated until now. what a fun idea for surgery date night! good job with the stitches!! your blog post title is one of my favorite quotes you’ve used so far! You are currently reading Time is the longest distance between two places at Buda-B.